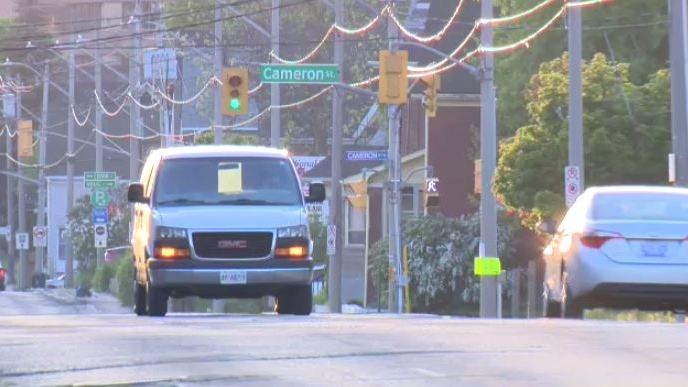 The road is scheduled to shut down Monday between Borden Avenue and Cameron Street for a construction project. It is not expected to reopen until November. This is the first in a two-part plan to restructure the road by replacing the curbs, sidewalks, sewers, and water mains. Work will continue along Weber Street between Cameron and Queen Streets next summer. The area of Cameron and Weber Streets will remain shut down for the next few months for a construction project. May 25, 2018.